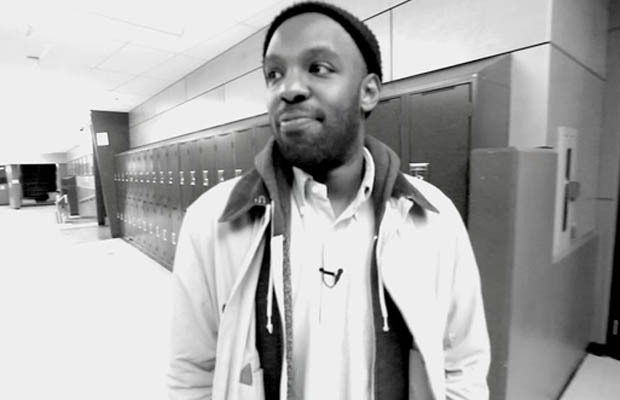 The Kenyan-born Toronto rapper Shad‘s magnificent given name is Shadrach Kabango. Surely if he’s been more aggressive and posturing in his style, someone at absolute minimum would’ve convinced him to hold onto the syllable “bang”. Shad has enough ego to survive in the rap game, yes: his 4th album Flying Colours includes its genre’s requisite wordplay bravado games (“Ooh, look at how I’m killing these tracks/ I’m a vet but not the type that’s feeling these cats/ Where’s the real Emcees at? I’m dying, I need to hear someone as ill as me, stat” — a genuinely clever through-line of double meanings, wasted on pure peacocking). But Shad is also a misfit in his genre: an immigrant, a Christian, a guy who can sustain Star Trek wordplay over a lengthy verse instead of just a quick one-liner, and a do-gooder who needs a big ego to justify his sense of social responsibility. His rapping strikes a solid compromise between the demands of rhythm and a desire to be conversational. 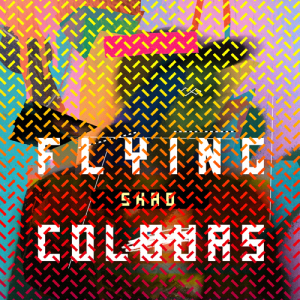 And Flying Colours is an unusually pretty rap album, as well as occasionally a daring one. Y’all Know Me has a ’70s Stevie Wonder feel, built on acoustic bass, tambourine, spacey synthesizers, melodic “Ooh-ooh-ooh” harmonies, and Shad‘s unsteady, but potentially smooth and soulful, tenor singing voice. Fam Jam (Fe Sum Immigrins) is built on a sunny Buddy Holly-style guitar loop — I’d swear it’s a sample of Kleenex Girl Wonder’s great the Pathetic Fallacy if it wasn’t extraordinarily unlikely that you or Shad has ever heard of it — as well as ’80’s-style record-scratching noises and a pleasant, barely audible bass line. The saxophone, Rhodes keyboard, and piano of He Say She Say are back to ’70s soul with a touch of ’80s Bruce Hornsby, although the clunky drum machine adds it more modern charm. Dreams has a low bass keyboard, mournful cello, and highly syncopated drum machine that suggest a more musicianly take on the Cure’s bleakest years (sampled musicians, sure, but bleakly lovely). Stylin’ — part his second boasting song, part his love letter to hip-hop as a salve for a confused black immigrant boy — has similar bass keyboard, but plays everything for joy, letting Kabango rap gleefully fast, then sing inside heavy echo that makes him sound like he’s refracting into a dozen of himself. Progress Progress is weird, and perhaps my favorite thing here, progressing from slam poetry unaccompanied, to slam poetry over piano and skittering fake drums, to slam poetry over intense and dissonant orchestra strings, to singing over acoustic guitar and chilled-out beats. Or Remember to Remember might be my favorite, hypnotic and urgent, over sawing cello, synthesizers like distant arcade-game space battles, and gorgeous circling vocals from Valerie “Lights” Poxleitner. 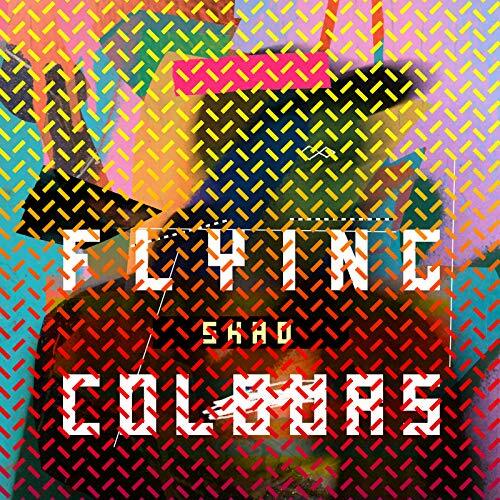 A big part of how I learned to enjoy hip-hop is displayed on Flying Colours: it’s perfectly capable of building itself from ingredients I already loved in pop songs, sometimes putting them in combinations I haven’t heard before. Then a lot of stylized talking is layered over it: that took adjustment, sure, but it also puts focus on the what the rapper has to say, and a million albums about drug-dealing aside, that can be an important strength. Shadrach Kabango identifies, even in his bragging songs, as “an egghead with glasses”, and cares about what his listeners will hear him say. None of his lyrics deserve the too-short summaries I’ll give them, but Fam Jam celebrates the contributions of immigrants (also giving a quick thanks to Doctors Without Borders), and endorses the concept of working up the class ladder. He Say She Say is a relationship failure portrait that carefully lays no blame, trailing off with a chorus of “Then I wanted to do a verse about how they worked it out, but…”. Dreams protests the crowded noisy concrete ghettos and announces “We think till we’re emotional, then drink until we’re sociable again/ This whole century is sensory overload”. Progress Progress juggles and juxtaposes dozens of allusions, but is arguably centered on how his love for pop culture doesn’t justify the way pop culture is used to deflect us from fury at the bankers who hijack economies and police who tase or water-cannon those who protest. Remember to Remember is a self-conscious song about the importance of rappers being self-conscious: they have a mike, what are they going to do with it? 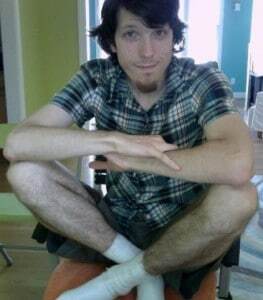 Shad certainly uses the right, as we all do, to be cheap and trivial sometimes. But not the right to do harm. Where Jay-Z and Kanye West’s Niggas in Paris is a lavish celebration of exploiting women — some of whom surely enjoyed it, yes, but which women and why and with what possible side effects is clearly of no interest — Mr. Kabango remembers Paris as a place where he ate nuggets. Which is also disrespecting chicks, come to think. But above and beyond the pretty music and nifty drum machine beats, I appreciate the harm he’s at least trying to avoid. To see the rest of our favorites, visit our Favorite Albums of 2013 page!